A vicious predator designed for melee combat in rugged terrain, Hexaklaw slashes its opponents apart in an instant with its devastating array of serrated claws. 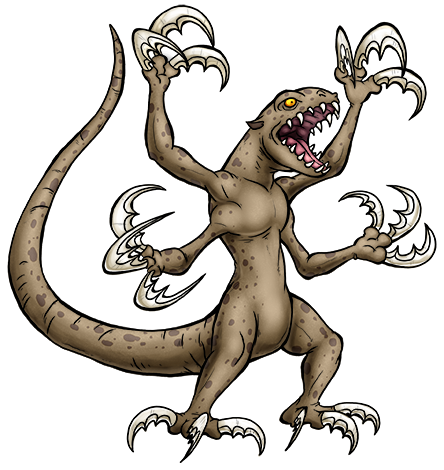 Not only are its claws effective weapons for killing, they also enable it to quickly scamper up sheer cliffs or large trees. If they are chipped or broken, they easily grow back. Though it lacks ranged weaponry, its incredible speed and agility allows it to swiftly close the gap between itself and its prey. Updated Comment: Hexaklaw is just great. I’m really digging the hairless body and of course those vicious claws.